Jena Roscoe, 1st Senior Vice President, Government Relations and Public Policy of Operation HOPE on financial literacy, economic empowerment, and a model for advancing underprivileged citizens and communities and the world. Why was Operation HOPE founded, and what does it do? Flash forward several years to the 1992 Rodney King race riots – it was out of that struggle, that defining moment, that Operation HOPE was founded in Los Angeles in the same year. Since that time, we have risen to become the pioneer and global leader of the financial dignity movement, providing financial programs, counseling, education, and opportunity to underserved youth, adults, and communities nationally and internationally. Operation HOPE is the first nonprofit banker in the United States. Our programs serve as a model for economic empowerment that have been acknowledged by President Bill Clinton, Oprah, the United States government, and other leaders and partners around the world. The mission of Operation HOPE is guided by “silver rights” empowerment. We empower people with financial knowledge and services. By building financial skill sets and giving people access to capital, we help people change their mindset and redirect their lives – helping them lift themselves out of poverty. What is the Silver Rights Movement, and why is it important? The Silver Rights Movement is built off of the Civil Rights Movement, and was a continuation of the work of Dr. Martin Luther King. He believed – along with others like his close friend and activist, our HOPE Global Spokesperson Ambassador Andrew Young – that the next step toward equality was to inclusively address financial inequality. They believed that every person living in this country should have the same opportunity to achieve the American Dream. The Civil Rights Movement allowed people to exercise the basic freedoms due to them as Americans, such as the right to live in any neighborhood where you can afford to live. But, if you don’t have the credit to purchase the home in the neighborhood that you want, then you can’t exercise that right. It’s taking things to the next level. I would love for people to read the American Banker article and The HOPE Doctrine on Poverty document. It shows you indicators – the indicators that changes someone’s mentality from poverty to wealth. Fifty percent of this change is low versus high self-esteem; role models, good versus bad; and aspiration, high versus low aspirations. HOPE Inside’s model for financial empowerment is unique. Can you describe the program? HOPE Inside supports and empowers individuals and communities with free financial services including free money and credit management, and small business and homeownership counseling. You can find our locations inside bank branches, colleges, grocery stores, police departments, and other public areas. It’s easily accessible information and guidance, and it turns check cashers into bank account holders. In 2009, we started working here in the DC area with our HOPE Inside locations to provide free financial literacy programming for adults. Today, I went to one of the largest women’s shelter in the DC area, which partners with Operation HOPE. We decided to partner with them when they concluded that financial literacy was an issue they wanted to address. When HOPE doesn’t have certain services in these HOPE Inside centers, we find partners who can provide those services. Today, we participated in a women’s empowerment day, for example – professional women go into the shelter to provide credit case management services. The financial wellness coach empowered these women with knowledge to improve their lives, and this is what she does every day. We got a chance to sit with the ladies and hear their insecurities; this allows us to find ways to provide empathy and help them with their credit challenges. Time goes by quickly with Operation HOPE. Touching these lives every day is our passion. It sustains us with admiration of how these people persevere, and we’re committed to touching and improving lives. What I shared with you today is a story that I wanted the ladies in the shelter to hear. Oftentimes people see volunteers come in – they’re well dressed and appear successful and confident. But I told them, twenty-five years ago, our CEO and Founder John Hope Bryant was in your same position in that classroom in Compton, CA, and not only did he rise above any perceived limitations, he thrived, and grew into the person we know today. They can do the same thing. Today, you see a professional group of women talking to with ladies in the shelter, just as Chairman Bryant once sat before that banker. We’re here to provide hope. During your tenure as 1st Senior Vice President of Government Relations and Public Policy, what achievements would you light to highlight? One initiative I am very proud of that I would like to highlight is Global Dignityand Global Dignity USA. Our Chairman, when he was young, was part of the World Economic Forum, and during his time there, he wanted to do more. He wanted to take that vision and turn it into a movement based on a very simple, but profound, premise – everyone deserves dignity. This is the impetus for our global dignity campaign that runs every October 18th. One day out of the year, the global dignity movement goes into classrooms, HOPE Inside locations, or into the community, and expresses how important it is that everyone has dignity. Young people, especially, are searching for who they are, and what kind of person they want to be. Having dignity allows people to value themselves and feel empowered to take control of their lives in a positive way. If we could start providing dignity to every citizen in the world, regardless of their religious or gender stance, for example, then you can pivot that on hope – and that’s important for public policy. Empowering people is the first step to them taking control of their lives, including their financial future. I came to Operation HOPE 9 years ago. 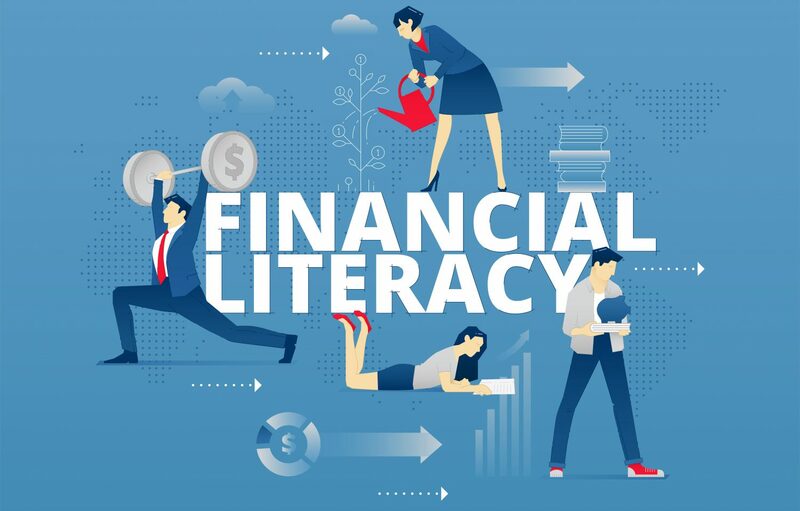 The chairman’s process was to develop its existing relationships with state and local governments so we could share that financial literacy model around the country. People nationwide would have the opportunity to go from unbanked to bankable. For the first 9 years of the organization, the HOPE model was perfected in CA, but there was an interest in expanding it. We wanted this department to work with Wall Street, which we accomplished; then, we decided that if we’re in the backdrop of NYC, then we should be in the backdrop of the federal government, and spread the impact to the communities of government employees. We have worked with 3 administrations – the Bush, Obama, and Trump administrations. How have recent global interests and concerns impacted the organization? A lot of global societies have conflict challenges because people think they can’t even create a job. There wasn’t an environment where entrepreneurship and the creation of small businesses could flourish – we’re talking about something as miniscule as someone having a bicycle and wanting to sell fruit from a stand with their bicycle. The cost for a license was so high that they thought the only way people would pay attention was to be violent. Our Chairman, the global dignity campaign, and his involvement in the World Economic Forum, then led us to a lot of global conversations – we have offices in Morocco, United Arab Emirates, Saudi Arabia, and Africa officially, but he’s gone to other countries and done consulting work around the Global Dignity Campaign. How do your global programs differ from your national programs? As with any model, it takes the shape and form of where it will be located. For example, the HOPE Inside locations in D.C. have a different feel from locations you might find elsewhere. This is a more corporate, friendly image because the people coming here are federal employees – before, after, and during lunch – it is easier for them to come here. Anacostia is the largest ward per capita in D.C. and also has the largest unemployment rate, so that HOPE Inside location also has a unique focus in comparison to others. HOPE’s Global Initiatives, our international work, take on the spin on what each country’s leadership – in the public, private, and social sectors – is doing. The Saudi target market was women and girls, and our strategy centered around providing financial literacy services and entrepreneurship opportunities. South Africa has 7 provinces – all those different regions have a different interest when it comes to working with HOPE. 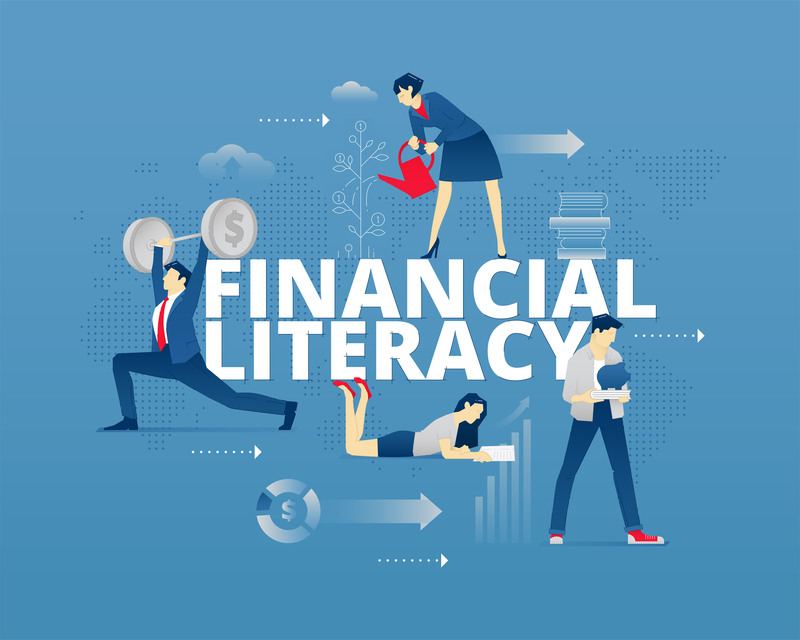 Some focus on women and girls, black men, entrepreneurship, credit case management, basic financial literacy, or HIV/AIDS prevention campaigns aimed at establishing financial literacy and preventing youth from focusing too early on sexuality or starting a family. The needs of the different regions reflect what they want to achieve with the HOPE programs. No Replies to "Economic Empowerment is a Civil Right"